Lock in a great price for La Métairie – rated 9.6 by recent guests! Wonderful house, very tastefully organized. Veyr nice and welcoming hosts. And super breakfast with home made food. Very nice hosts. 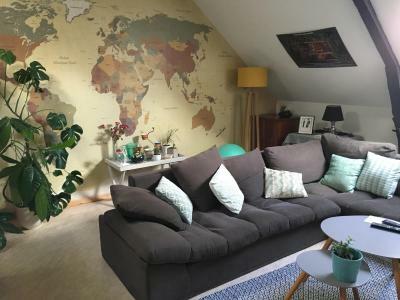 We had a great appartment. 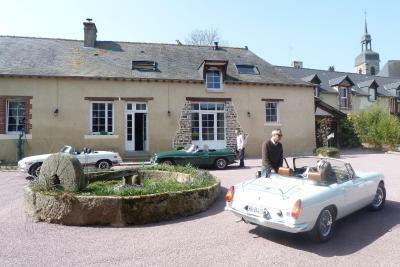 Located nearby Rennes an excellent location to discover the region. We (2 adults 1 child 1 dog) stayed overnight on our way south. Everything was fantastic. Beatrice was so friendly and helpful. Truly delicious breakfast with homemade yogurt and apple juice (we bought 2 bottles to take to our holiday destination). It was very dog friendly. 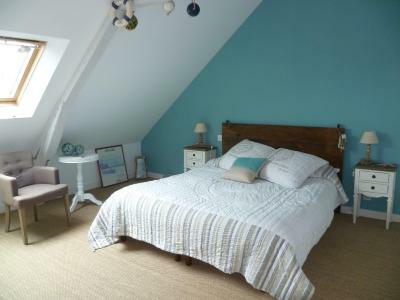 Lovely location with 2 beautiful bedrooms and large bathroom. Covered private parking. 5 minutes by car to Chateaugiron with its castle and pretty streets. Merci beaucoup à Beatrice. A great home made breakfast. As it was a Sunday booked an evening meal - Super complete with aperitif and cider. Very friendly and welcoming hosts. The owners were very welcoming and attentive. We had our dog with us and they were very good with her and she played with their dog in the garden. An added bonus for dog owners is that there is a beautiful walk almost straight from the house. We had dinner there which was very good and breakfast also. The rooms were comfortable and we would definitely stay there again. Room was spacious and airy. The beds were very comfortable. Breakfast was really nice home made products. The owners were very pleasant and helpful. They recommended dinner at Le Cellier in Chateaugiron and they were right - it was excellent. There was a sumptuous en suite with fluffy bathrobe, luxury bath and toiletries. The owners were lovely and so helpful. Good off street parking, undercover. The room was great, had two separate rooms, perfect for families. The breakfast was good and their homemade strawberry jam was so delicious I bought a jar of it! It was the perfect stop-over b&b. 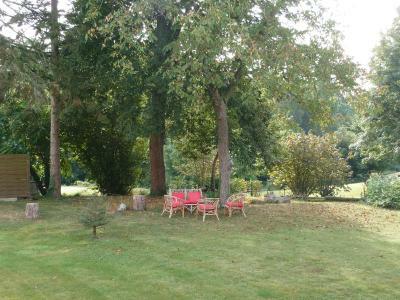 Lovely location, very close to a small, pretty historic village. Exceptional hosts Beatrice & Alain who couldn't do enough to make our stay as comfortable as possible! 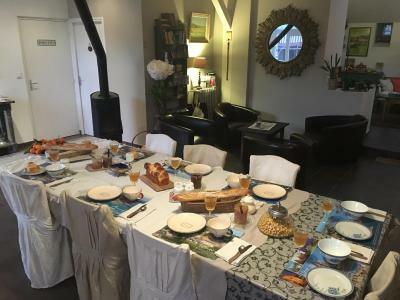 Fabulous room, lovely breakfast and Alain even gave us a lift into nearby beautiful town Chateaugiron as we were travelling on bikes (secure locked area for bikes overnight was great too). Recommend local restaurant du Cellier with a pretty walk back through the valley. 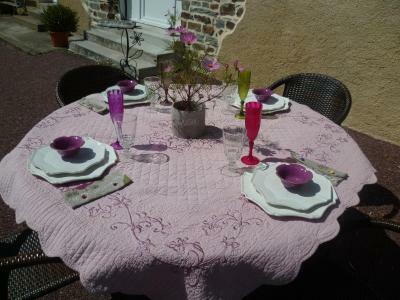 Located in Domloup , La Métairie De Domloup features a garden, furnished terrace and table tennis. It is 0.6 mi from Châteaugiron and a 15-minute drive from Rennes. 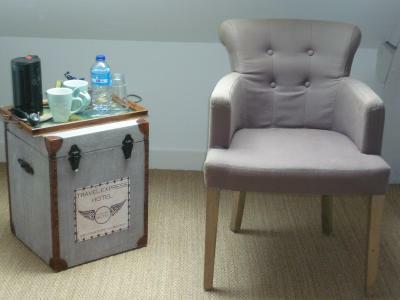 All rooms feature countryside views, a seating area and a desk. The private bathrooms are complete with bathtub and a hairdryer. 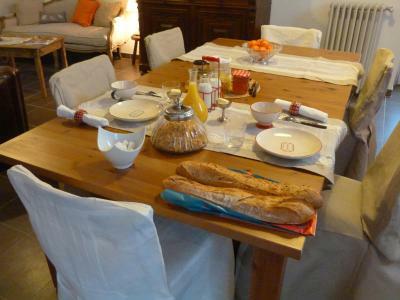 A continental breakfast serving homemade products is available and an evening meal including regional and homegrown ingredients is offered upon reservation. A shared kitchen is also provided to prepare meals. Additional facilities include bicycles, newspapers, meeting facilities and free Wi-Fi access. 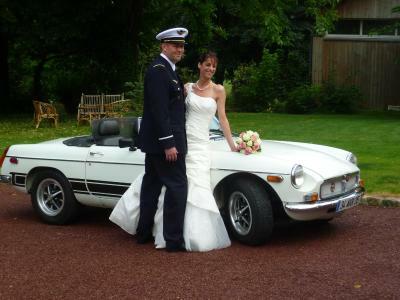 The property is 13 mi from Saint Jacques Rennes Airport and free private parking is possible on site. 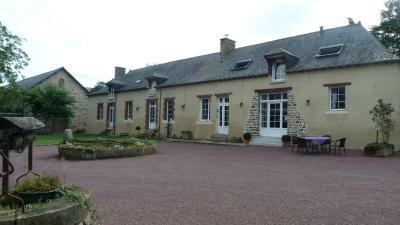 This property also has one of the top-rated locations in Domloup! Guests are happier about it compared to other properties in the area. 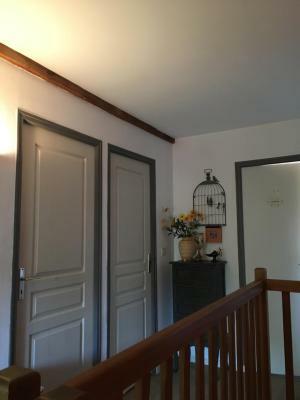 This property is also rated for the best value in Domloup! Guests are getting more for their money when compared to other properties in this city. 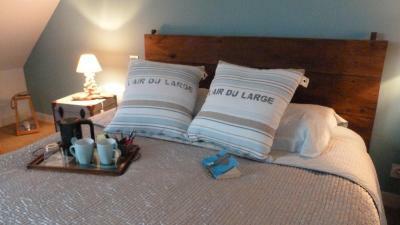 When would you like to stay at La Métairie? This room features countryside views, a seating area and a desk. It is complete with private bathroom. Composed of 2 independent rooms, this room features exposed beams, views of the farm, a seating area and a desk. There is 1 bathroom with a heated towel rail and a hairdryer. House Rules La Métairie takes special requests – add in the next step! 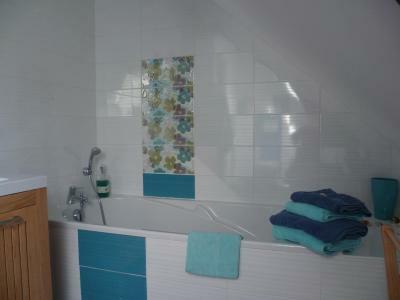 As in many French B&b's the shower is not a stand up one, it is in the bath, off the taps. This is very typical in France and not a big deal for me. I would still highly recommend the place. Our host were wonderful, breakfast excellent and we loved chatting with them. JoJo their dog was gorgeous. The room was great. I especially loved the homemade dandelion jam. Our hosts helped us with lots of sightseeing ideas.